Jack Schiller has been the Principal Bassoon of the Melbourne Symphony Orchestra since 2013. Born in Adelaide, Jack began playing the bassoon at the age of 12. He studied at the Elder Conservatorium of Music, and in 2012 he took up a scholarship position at the Australian National Academy of Music. During his time at the Academy Jack won the ANAM Concerto Competition, performing with the Tasmanian Symphony Orchestra. He also won the in-house chamber music competition and was awarded the Director’s Prize for outstanding achievement by a leaving student. 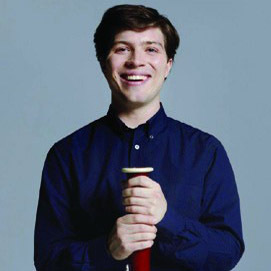 After completing his studies at ANAM, Jack took up a contract with the Sydney Symphony Orchestra as Associate Principal Bassoon and a position in the orchestra’s Fellowship Program.